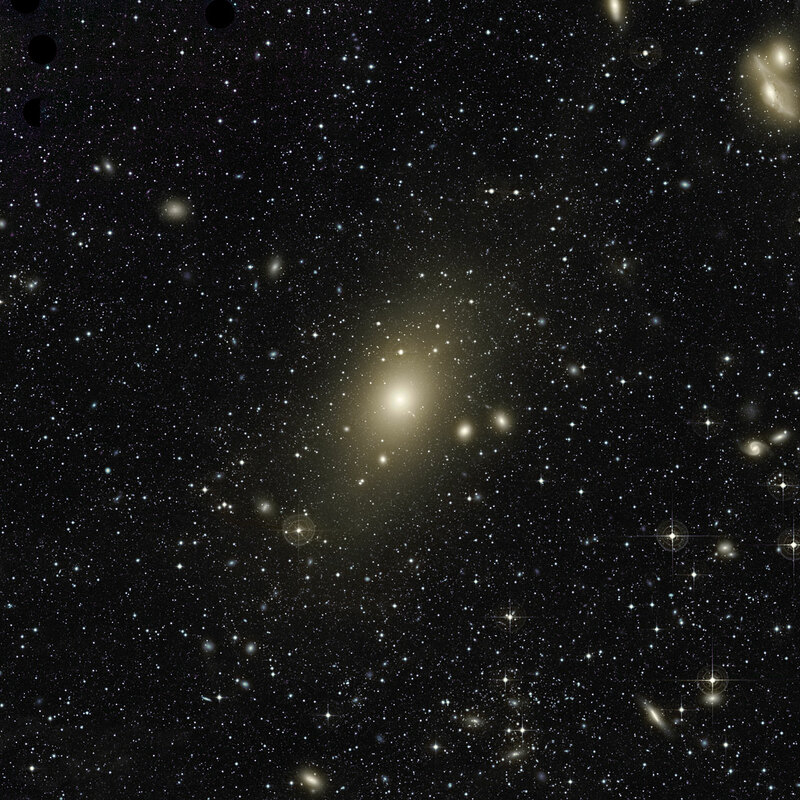 The giant elliptical galaxy Messier 87 is surrounded by a huge halo. An increase in brightness in the top-right part of this halo and the motion of planetary nebulae in the galaxy are the last remaining signs of a medium-sized galaxy that collided with M87. There’s a supermassive black hole in the giant elliptical galaxy M87. This video is a sequence of Hubble images taken over a period 13 years. It shows the changes in a jet of hot gas spiraling along magnetic field lines generated by the black hole. This video zooms in on a black-hole-powered jet of hot gas in the giant elliptical galaxy M87. The time-lapse movie shows hot plasma spiraling along magnetic field lines generated by the supermassive black hole over a 13-year period. It was assembled from images take by the Hubble Space Telescope.